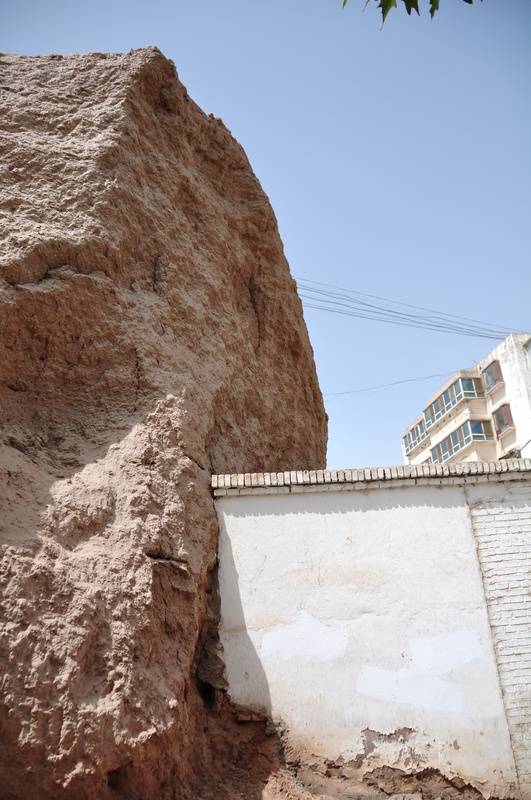 An oasis where trade routes known as the Silk Road converged, traders and buyers gathered for centuries to buy, sell and barter, the city of Kashgar in western Xinjiang, China shines as an oasis in a stunning but arid landscape. 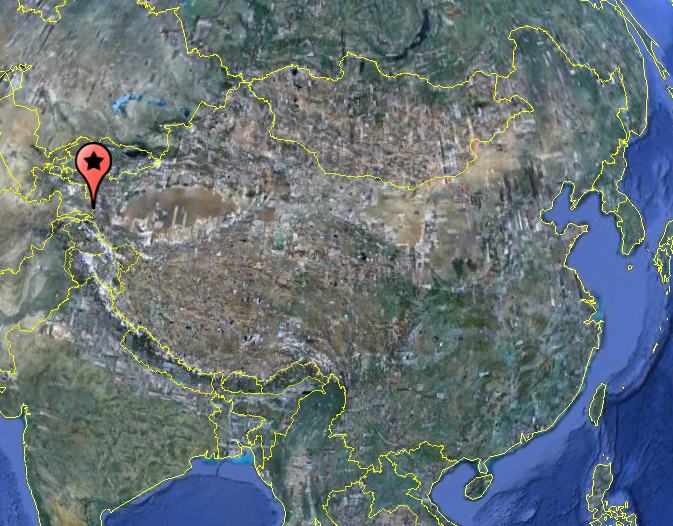 Kashgar's location in China via Google Earth. According to the Lonely Planet guidebook, this earth wall is over 500 years old. This entry was posted in Uncategorized and tagged Central Asia, China, Kashgar, travel, Uyghur, Xinjiang, 喀什, 新疆. Bookmark the permalink.